Opto Engineering is a tight-knit team! from Opto Engineering on Vimeo. 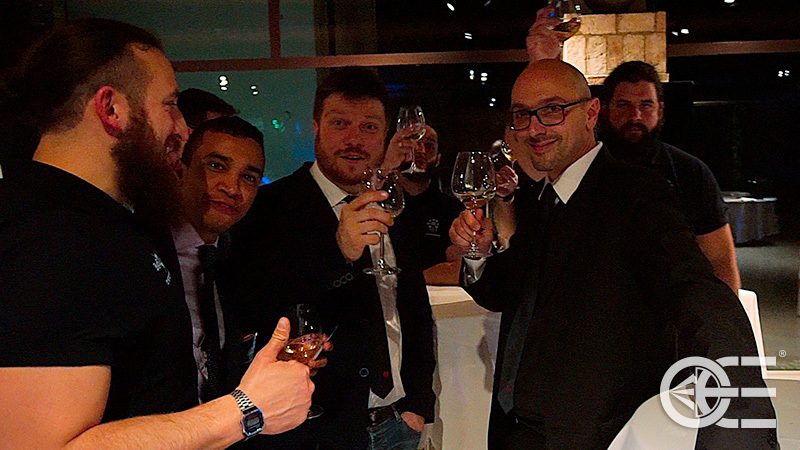 On December, 22nd 2017 at Tesoro Living Resort in Mantua the annual global meeting took place, followed by a special party to celebrate the end of the business and calendar year. About 150 people from the HQ in Italy and subsidiaries abroad reached Mantua to enjoy this special moment. During the event, we shared our company accomplishments which were reached thanks to everyone’s hard work. We also rewarded all outstanding achievements in sales, as well as the loyalty of those that have been with us respectively 5 and 10 years. Since Opto Engineering is main sponsor of the Rugby Mantova Team, the team manager Mr. Giovanni Lorenzi gave a speech about the importance of team cooperation and good leadership. Opto Engineering is a tight-knit team even while training: along with our friends from Team Building Experience, we set up the first “Opto Breaking News” contest. Each team created and presented the audience with the latest Opto Engineering news, including exclusive interviews and special guests! Acting is not easy but the result was an exhilarating carousel of “OE Breaking News, evening edition” performances. As every year, Opto Engineering decided to support a great cause: Save the Children and Slow Food Italia. Each guest who joined the party could appreciate special Italian delicacies donating hope at the same time. 2017 came to an end and 2018 will be a crucial year for Opto Engineering: we will be at the forefront of the Imaging Industry with our usual drive and commitment and we will launch new groundbreaking technologies including a new Artificial Intelligence Vision Unit. We would like to wish you all a great start to the New Year and we look forward to being in touch soon! Don’t miss out on being the first to hear our news!